There are more than 140 types of pasta, and even more names. Some pasta varieties are only produced regionally, while others are known under a different name in various regions. The mechanical clock, the barometer, the thermometer, and optical glasses are all Italian inventions. Etna, the greatest active volcano in Europe, is on Sicily’s eastern coast. 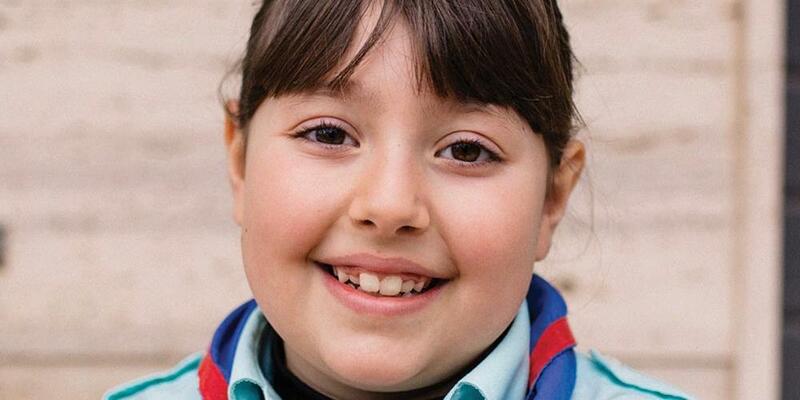 Rachele is eight years old and lives in Ragusa, Italy. Ragusa is located on the island of Sicily, the biggest island of Italy [locate Sicily on a map]. Rachele loves coming to Sabbath school each week where she learns more about God through the Bible stories, songs, crafts, and other activities. She’s also an Adventurer and really enjoys camping, staying in tents, and being with friends. At school, Rachele enjoys learning and has many friends. In her classroom, the children sit at long desks, with two children at every desk. The teacher assigns where the students sit. Every few weeks the seating arrangement is changed. One day when the new seating arrangement was announced, Rachele learned that she would be sitting beside Alessandro—the meanest boy in the class. Sometimes Alessandro pushed other students and would throw things off their desks. And sometimes his classmates called him “stupid” because he had a hard time understanding the lessons. When Rachele came home after school that day, she told her mother about her new seat assignment next to Alessandro. The next morning before going to school Rachele said another prayer, asking Jesus to help her get along with Alessandro. When she got to her classroom, Rachele wasn’t afraid anymore. Sitting down at her new desk, she smiled at Alessandro. Each day before going to school, Rachele prayed that Jesus would help her to be a friend to Alessandro, and that Alessandro would be kind. As the days went by, Rachele and Alessandro did become friends. It was the first time that anyone in the class had become friends with him. And each day before coming to school, Rachele remembered to pray for her friend, Alessandro. Day-by-day everyone could see that Alessandro was changing. He was becoming nicer to the other students and more obedient to the teacher. Once in a while, when he slipped back into his old habits, Rachele talked with him and he would listen and try to do better. The teacher is happy that Rachele opened her heart to help this boy, and one day Alessandro’s mother called Rachele’s mother to tell her how much she appreciates Rachele. Rachele’s mother is happy that her daughter has learned so many good things at Sabbath school and Adventurers, and that she knows how important prayer is. Rachele’s mother believes God is answering Rachele’s prayers and says that whatever good is happening is not just because of Rachele but because of her connection with God. Boys and girls, you can have a connection with God, just like Rachele. You can pray to Him anytime, day or night, and he will hear your prayers.